Project Bluebeam is a four step process that has an end result on a one world government. If you’ve noticed, the most recent wars involved countries who did not have ties to the Rothschild banking system, the World Bank. This is not by coincidence and is done to create a One World Currency under a New World Order premise. 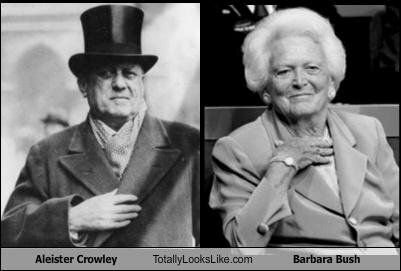 While speculation has inferred that George H. W. Bush’s wife, Barbara Bush, may be the daughter of Satanist and 33rd degree Freemason Aleister Crowley, the lineage would make sense, especially through son George W. Bush. Here is an interesting article on who Barbara Bush really is. Step One: Step One requires the breakdown of all archaeological knowledge. This will apparently be accomplished by faking earthquakes at precise locations around the planet. Fake “new discoveries” at these locations “will finally explain to all people the error of all fundamental religious doctrines”, specifically Christian and Muslim doctrines. Step Two: Step Two involves a gigantic “space show” wherein three-dimensional holographic laser projections will be beamed all over the planet — and this is where Blue Beam really takes off. The projections will take the shape of whatever deity is most predominant, and will speak in all languages. At the end of this light show, the gods will all merge into one god, the Antichrist. Step Three: Step Three is “Telepathic Electronic Two-Way Communication.” It involves making people think their god is speaking to them through telepathy, projected into the head of each person individually using extreme low frequency radio waves. 3. A mixture of electronic and supernatural forces, allowing the supernatural forces to travel through fiber optics, coax, power and telephone lines to penetrate all electronic equipment and appliances, that will by then all have a special microchip installed. David Icke calls this process the “Totalitarian Tiptoe” where civil liberties are gradually relinquished in favor of government protection from issues that they initially created. For example, after 911, United States citizens cried to their government officials for protection, resulting in the Patriot Act, which took away numerous civil liberties in the name of protection. This has further snowballed into the National Defense Authorization Act, which was written in a way where any United States citizen could be not only detained and questioned without any legal representation, they could also be killed without questioning. This was written under the guise of protection from ‘terrorists’. It is no coincidence that our skies are being lambasted with chemtrails, which contain barium niobate. Barium niobate is a critical element used in the 3D technology of creating holographs and was specifically mentioned in the U.S. Army’s Research Lab Adelphi Report from November 1996 through August 1997 titled, “3D Holographic Display Using Strontium Barium Niobate”, Accession Number ADA338490, published in February 1998. There is a reason why you never saw a chemtrail in any picture or featured film before 1980… it’s because they didn’t exist back then. A contrail is the normal discharge from a jet airliner. Contrails look like a short, white steam cloud that dissipates quickly. Chemtrails are chemically induced trails which were originally dismissed by the government as contrails, only later ot be admitted that they were being used in weather modification projects. A chemtrail starts out in a similar fashion as a contrail, except the chemtrail doesn’t dissipate. Instead, it stays in the atmosphere and expands, clouding up the skies. One of the key ingredients in chemtrails, as evidenced in numerous water samples, is barium, in various forms. As mentioned, barium is a key ingredient in holographic technology. Space-based weapon system: Reagan’s Star Wars Program. In other news, the late Tupac Shakur appeared at Coachella as a hologram and in a stunning finale, he exploded into nothingness on stage. If the mainstream media can make Tupac look this real, then what else are they capable of doing, such as creating false flag events that never happened? The next future dead celebrity to be showcased as a hologram will be Elvis Presley. As shown above, this holographic technology is already being used by the mainstream media. On September 7 2003, all emergency services and members of London Underground took part in Operation Osiris at Bank Tube station. The hypothetical scenario was a chemical attack on the Underground. Of all names, why would they call this “Operation OSIRIS”? Osiris was an Egyptian god, usually called the god of the Afterlife. Osiris is one of the oldest gods for whom records have been found; one of the oldest known attestations of his name is on the Palermo Stone of around 2500 BC. He was widely worshiped until the suppression of the Egyptian religion during the Christian era. The most commonly encountered family relationship describes Horus as the son of Isis and Osiris. Both Horus and Osiris were resurrected by Isis with help from Thoth after being killed by Set the evil brother of Osiris. In one legend Osiris’s body is cut into pieces and scattered throughout Egypt, Isis set out to look for the pieces and she was able to find and put together 13 of the 14 parts, but was unable to find the 14th and most important part, his male member, instead, she fashioned a “phallus out of gold” and sang a song around Osiris until he came back to life. Thus Osiris was resurrected and so it was that Isis conceived Horus. Due to this experience, Osiris became Lord of the Dead, and the Afterlife. When Osiris was killed, his body was dismembered. Isis found most of the parts except for his sexual organ, to which she had a cast of his erected male member made, and she sent it to all of the temples in Egypt. It was decreed by Isis that in Egypt, all of the temples had to display the male sexual organ of Osiris in an erected state in a prominent place in the temple. This is why you have steeples on your churches, today. The obelisk is a representation of the erect male member. It stands for the power, or potency, of the virile male. The pharoahs of later dynasties switched their obelisk erecting affections to Osiris; God of the earth, vegetation and the Nile flood that gave life to all Egypt; God of rebirth; God also of the Underworld, the Last Judgement and Life and Death. The obelisk at the Vatican is surrounded by a circle. This obelisk is the point within a circle, representing the union of Osiris and Isis.After erecting Caligula’s obelisk in St Peter’s Square in 1586 Pope Sixtus V exorcised it, consecrated it and surmounted it with a Holy Cross. For the record, the Washington Monument obelisk is the tallest obelisk in the world. It is 6666 inches high and 666 inches wide along each side at the base. These numbers are not a coincidence. Did a British Airways Commercial Foreshadow the Illuminati Card, “Combined Disasters”? The Illuminati Playing cards have prophecized many events, including 9-11. 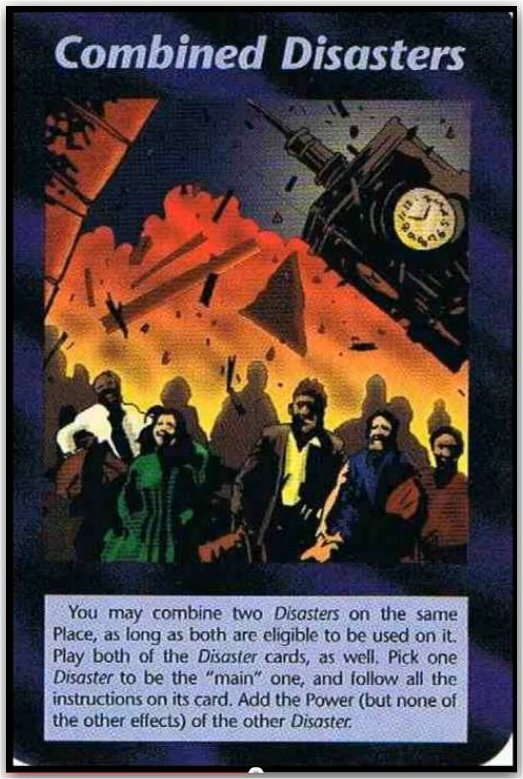 In the “Combined Disasters” card, one can clearly see Big Ben tumbling down while in the forefront while a man wearing a yellow shirt is shown to have a zombie-like appearance. To the left of the tumbling Big Ben, a pillar is shown falling. The pillar is prominently displayed in the British Airways commercial as well. When you trace who owns all of the mainstream media, you will find Zionists at the top of the heap. Not only that, but President Obama’s cabinet is comprised of Zionists. Keep in mind that the cabinet is selected, not elected. Both Obama and Vice president Joe Biden are Zionists (source: http://www.freepress.net/ownership/chart/main). Whether Project Blue Beam is scheduled to occur this year or at any other time in the near distant future, the plan appears to be evolving. While Project Bluebeam would be a fascinating “show” to those who know what it is all about, the end result will not be pretty if fully employed, resulting in a One World government, army, banking system and religion. 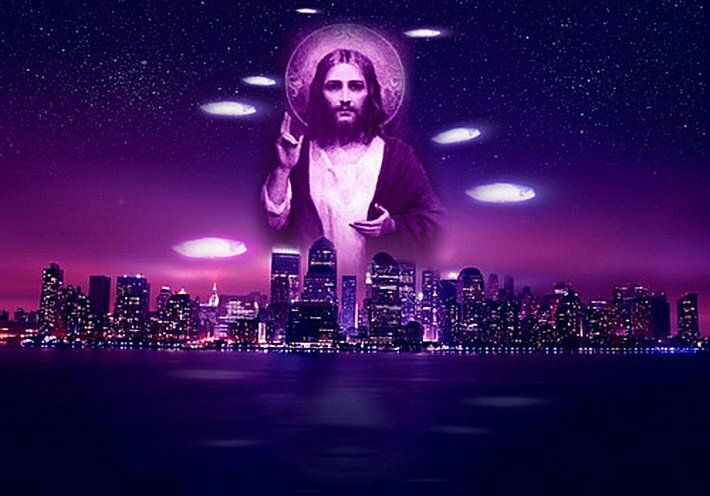 As evidenced by numerous high ranking military officials during the Disclosure Project, there are many benevolent extraterrestrials who are watching over us and are protecting the planet from these types of tyranny and oppression. It is also possible that nothing will happen. Perhaps Project Bluebeam is simply a PSYOP? In the end, I don’t think Project Blue Beam will ever come to fruition because benevolent extraterrestrials will not allow it to occur, but for those keeping track of its progression, it’s still on course to be unveiled in the near future. Just the mere exposing of this material could be enough to deter plans or prevent those plans from happening. In the event that something major occurs, you will at least understand why it’s happening and you will be an integral part of the debunking of the end results for a New World Order plan that will inevitably fail. 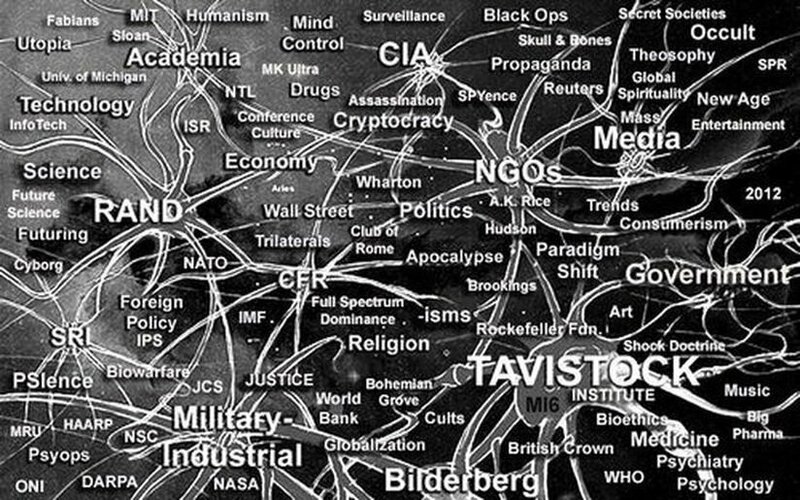 Tags: carol rosin, chemtrail, Christian, christians, David Icke, Dr. Carol Rosin, gregg prescott, NEW WORLD ORDER, Project Blue Beam, project bluebeam, PSYOP, PSYOPS, Rapture, What is Project Bluebeam?